Today, on the auspicious 28th birth anniversary of His Holiness the 11th Panchen Lama -- Jetsun Tenzin Gedhun Yeshi Trinley Phuntsok Pal Sangpo -- the monks of Tashi Lhunpo Monastery, on behalf of Tibetans and believers everywhere, respectfully and humbly offer innumerable good wishes for his well being, along with prayers for the swift fulfillment of all his wishes. In modern Tibetan history, one of the most pertinent issues plaguing Sino-Tibetan relations continues to be related to the issue of His Holiness the 11th Panchen Lama, Gedun Choekyi Nyima. 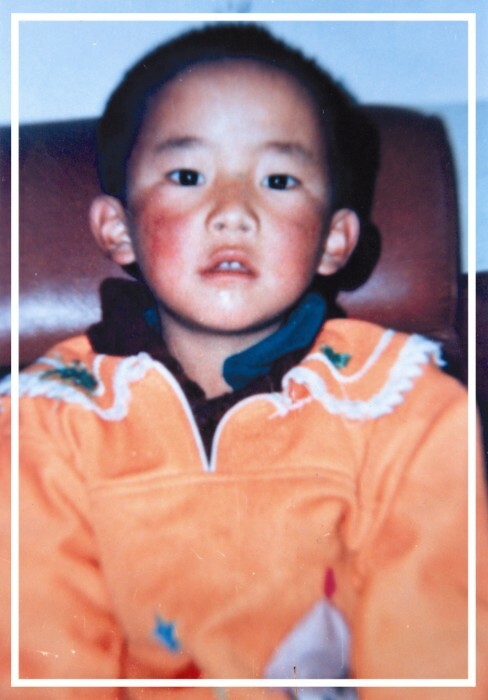 Immediately after His Holiness the 14th Dalai Lama publicly recognized Gedun Choekyi Nyima as the 11th Panchen Lama in May 1995, the Chinese authorities kidnapped the then six-year-old boy, making him the world’s youngest political prisoner. The 11th Panchen Lama has remained missing ever since, with the Chinese authorities firmly refusing to provide any information of his whereabouts and well-being. Even as millions of Tibetans long for a sight of the 11th Panchen Lama and await news of his well-being, the Chinese government obstinately refuses to present the world with any proof of his present condition, evidence of their complete disregard for the Tibetan people’s religious beliefs and sentiments. In contrast, the Chinese government has stepped up efforts to publicly parade Gyaltsen Norbu, who they appointed as their version of the 11th Panchen Lama to replace the one recognized by the Dalai Lama. In recent times, China has increasingly used Gyaltsen Norbu, the “fake Panchen Lama” as a puppet to further their interests in Tibet. Global Times, a Chinese government-owned media firm, in August 2016 published an article detailing how Gyaltsen Norbu was significantly increasing his role in religious assemblies and social activities to counter the influence of the Dalai Lama. The article also offered clues of the Chinese government’s efforts to build the fake Panchen Lama’s credibility as a religious figure on a global level, in preparation for a period after the Dalai Lama’s passing. This is, however, further proof of the fact that Gyaltsen Norbu, like any other Tibetan in Chinese-occupied Tibet, is also a victim of China’s political designs on Tibet and has himself been denied the freedom of life and expression. China must, however, be reminded that the legacy of His Holiness the Dalai Lama and the genuine love and admiration that the people of this world have for him, cannot be wiped away or replaced by carrying out their dirty political calculations and moves. Chinese government’s appointment of a fake Panchen Lama to further their political designs for the Tibetan people have greatly hurt the sentiments of the Tibetan people and freedom-loving people of this world. Their well-known ambition to use the fake Panchen Lama to recognize the next Dalai Lama should be a matter of grave concern for Tibetans and truth-loving people everywhere. The custom of recognizing the reincarnation of Tibet’s great lamas has always been based on Tibetan religious and historical tradition, and China could do well to understand that this can never be effectively replicated by the use of brute force to further political ambitions. The 11th Panchen Lama and Venerable Chadrel Rinpoche, the Abbott of the Tashi Lhunpo Monastery and Head of the Search Committee for His Holiness the 11th Panchen Lama, have both been under Chinese custody since their capture in 1995 and have remained missing for 22 long years. It is a matter of grave concern that the world continues to be kept in the dark about their well being or even of whether they are alive or not. For Tibetans everywhere who long for any news of their well being or for proof of their existence, the days, weeks, months and years have stretched out into decades as we wait in earnest to be united with our precious 11th Panchen Lama and Chadrel Rinpoche. We, therefore, beseech the freedom-loving people, government and non-governmental organizations around the world to continue to press China to immediately release the 11th Panchen Lama, Chadrel Rinpoche and other Tibetan political prisoners; respect and uphold the human rights of the Tibetan people; and put an immediate stop to the continued oppression of the Tibetan people and misuse of Tibetan resources that have led to hundreds of self immolations of innocent Tibetans in Tibet. Finally, we pray for the fulfillment of all the auspicious wishes and commitments of His Holiness the 14th Dalai Lama. We also pray for the fulfillment of His Holiness the 10th Panchen Lama’s wish for a revival and flourishing of Buddhist religious tradition in Tibet, and for both the Dalai Lama and the 10th Panchen Lama’s vision for an effective resolution to the Tibetan issue through the Middle Way Approach.